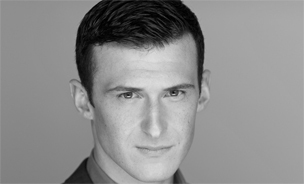 Joshua Marx received his BA in Theatre Arts with a minor in Studio Art at San Jose State University, and his MFA in Acting from the Mason Gross School of the Arts at Rutgers University where he specialized in studying Meisner, Hagen, Williamson, and Michael Chekhov. Joshua was also selected to participate in an intensive study abroad in the United Kingdom at Hull University. As an actor and proud member of the Actors Equity Association, Joshua has worked extensively off-broadway, and in the major regional circuits across the country. Professional Acting credits include Theatreworks, the Aurora, San Jose Stage, 42nd Street Moon, the Alabama Shakespeare Festival, Flat Rock Playhouse, The Berkshire Theatre Group, Theatre Under the Stars, TheatreSquared, the Abingdon Theatre, the Workshop Theatre, Mile Square Theatre, Boxcar Theatre, Hillbarn Theatre, Renegade Theatre, Berkeley Playhouse, Coastal Rep, and City Lights. As a Director, Joshua has enjoyed working at Broadway by the Bay, Hillbarn Theatre, 42nd Street Moon, and San Jose Stage, SJSU, as well as for Cal Shakes and SF Shakes’ educational programs. Joshua is also a SAFD (Society of American Fight Directors) certified stage combatant and has enjoyed a prolific career choreographing stage violence for award winning productions both in the Bay Area and beyond. In addition, Joshua has a passion for producing Immersive Theatre experiences which involves multimedia technology, interactive improvisation, and site-specific performance. He has consulted for SF Speakeasy, Epic Immersive, First Person Travel, Raktor, Sparasso, Beacon Theatre, and FloodLight Productions in Brooklyn. Joshua also teaches for San Jose State University, Rutgers University, SF Shakes, Cal Shakes, and the Theatre Arts Academy at Broadway by the Bay. Joshua is a proud Father and Husband and lives in San Francisco.